Many children begin their Archfield journey in our Duckling Room. The Ducklings is an environment where children develop loving relationships and create secure attachments with the adults and children around them. The Ducklings do this by ensuring that they have a strong Key Person approach, creating positive partnerships with parents and taking the time to get to know their children as much as possible during and beyond their settling period. During a child’s time in the Ducklings they are developing key life skills such as walking and talking! We recognise the importance of creating an environment which is key in developing children’s prime areas of development; Personal, Social and Emotional, Physical and Communication and Language. encourage the development of their learning. There are many spaces which they call ‘cosy corners’ where children can access to have a rest, a calm moment… or a good cuddle with a friend! The Ducklings Room also has plenty of open spaces for crawling and for those vital first steps to take place. 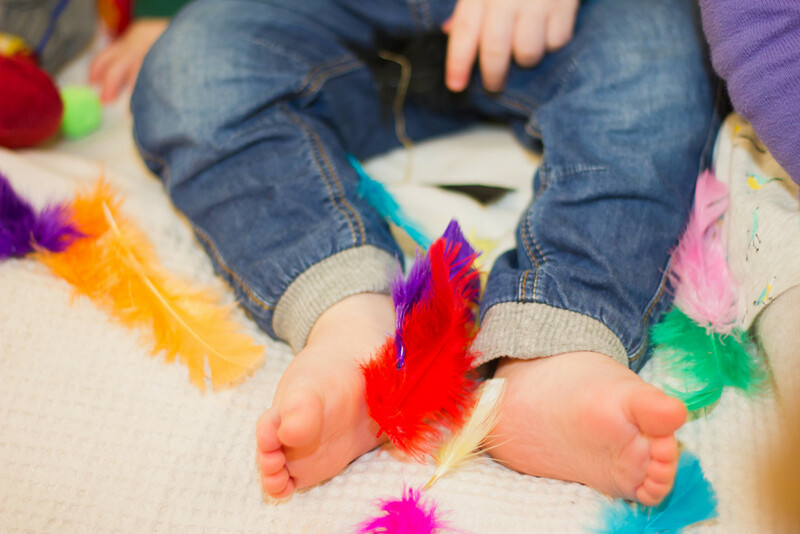 The Ducklings also have access to age appropriate climbing equipment, role play areas, messy play and self resourcing activities such as treasure baskets and sensory resources. The Ducklings have easily accessible sleep rooms, nappy changing areas and milk kitchen attached to their suite which is incredibly important when the children have such different sleep, food and milk routines throughout the day. Each baby sleeps when rest is needed and we have warm comfortable cots with classical music playing to aid peaceful sleep. Nappies are changed regularly or when needed and a daily record is given to parents upon collection detailing important care information. The Ducklings have their own designation outdoor environment which includes an area protected from the elements for all year round, especially for non mobile babies. They access the outdoor environment every day and view it as a very important part of their daily routine. All in one waterproofs are provided for our Ducklings to ensure they get the most of the outdoor environment in all weathers as our outdoor policy states ‘There is no such thing as inappropriate weather, only inappropriate clothing’. Toys and equipment offer a wide range of opportunities and experiences. As the children’s social and language skills develop further and they are beginning to play more cooperatively with others around them, they require more varied and challenging activities. This is when they begin to prepare for the transition to The Beehive Room.